Book your next private flight to Pennsylvania with Jet Charter Philadelphia. Whether you’re hiring a private jet to Philadelphia for business based in the tri-state metropolitan area, or leisure at one of the state’s many luxury hotels, we can help arrange the aircraft and flight itinerary that best suit your needs. Our Philadelphia Jet Charter team provides a personalized one-on-one service that exceeds every expectation. We value your privacy and safety beyond all else, and strive to make each private flight the best yet. Our Jet Charter Philadelphia agents are available for you by phone and email 24 hours a day, 7 days a week. You’ll always be taken care of when using our services, no matter what time of day. 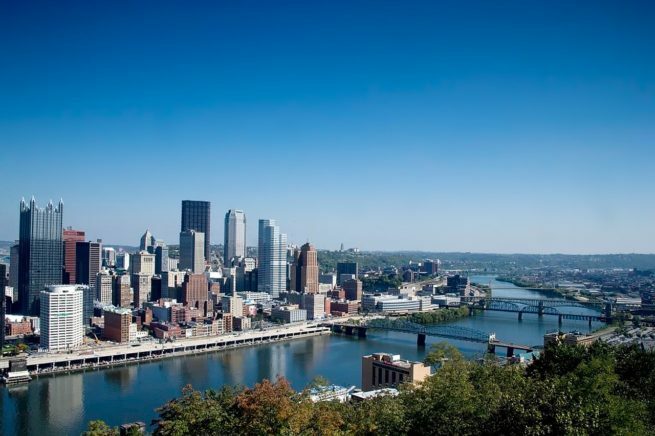 Request a quote or call us to arrange your private charter flight to Pennsylvania. Jet Charter Philadelphia has access to the following Wyvern-certified aircraft for your private flight. All of the aircraft we utilize for charter service are operated by FAR Part 135 or 121 (or foreign equivalent) air carriers, using only veteran pilots in the private jet you’re renting. Jet Charter Philadelphia will provide you with a variety of aircraft options based on the goals and budget of your trip, allowing you to charter a cost-effective aircraft, or the most luxurious, stylish corporate jet on the market. Check out our Aircraft Gallery for more details on all of the aircraft available for your trip. The following are examples of hourly rates for private jet, turbo-prop and helicopter rentals to/from Philadelphia. Philadelphia is a major area for business and leisure aviation, and many operators offer empty leg charter flights, which may greatly reduce the cost of your flight.